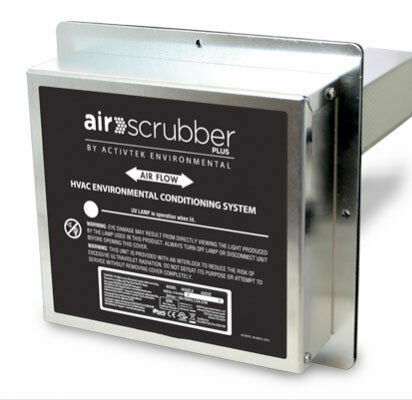 Haley Mechanical, a plumbing, HVAC (heating, ventilation, and air conditioning), and electrical services provider, is now offering an air purification system called Air Scrubber Plus. The system, which costs around $850, integrates seamlessly with home HVAC systems to reduce contaminants on surfaces and reduce active particulates. In addition, the system works with ActivePure technology to freshen, purify, and clean the air utilizing a proprietary catalytic process that, along with specialized germicidal UV light waves, creates molecules of oxygen and hydrogen that actually “scrub” the environment. The Air Scrubber Plus works to purify and clean the air of homes as large as 3,000 square feet. The system is installed directly above a HVAC air handler. The system works seamlessly with an existing air conditioner, fan, or furnace depending on the season. The company, founded in 1998, covers Ann Arbor, Dexter, Ypsilanti, Howell, Chelsea, Pinckney, and surrounding communities.